This is the best beet salad I have ever eaten. And since I am an Estonian, I have eaten a lot of them. All these birthdays with potato and beet salads. Road trips, where the only vegan option in the store is a russian vinaigrette salad. All these winter evenings with garlicky beet and mayo salads (now I'm hungry again). 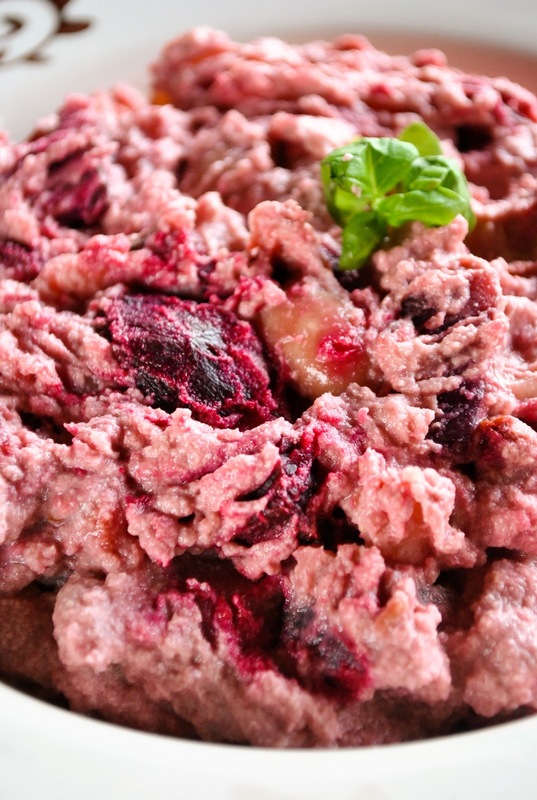 I love beets and I have created so many delicious beet recipes over time. I knew I wanted to make a salad this time. I'm so glad I did! I had a few homegrown beets (thanks, mom!) waiting on my kitchen counter. I also had potatoes, sunflower seeds, a handful of peanuts and beans. 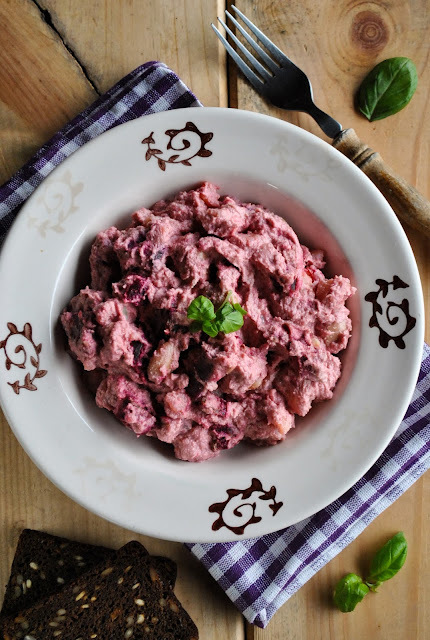 The result was super creamy beet and potato salad with hearty beans. Beets are absolutely divine when baked. They become so sweet and juicy and just perfect for this salad. And the sauce is peanutty, but not too much. It has just enough mildness. We absolutely loved this dish. My boyfriend ate two large servings and he doesn't even love beets! It's also great as a main dish, since it's so filling. I'm telling you, those are some sick beets! (I had to, I'm sorry). Preparation time: 10 minutes active, 40 minutes passive. Total: 50 minutes. 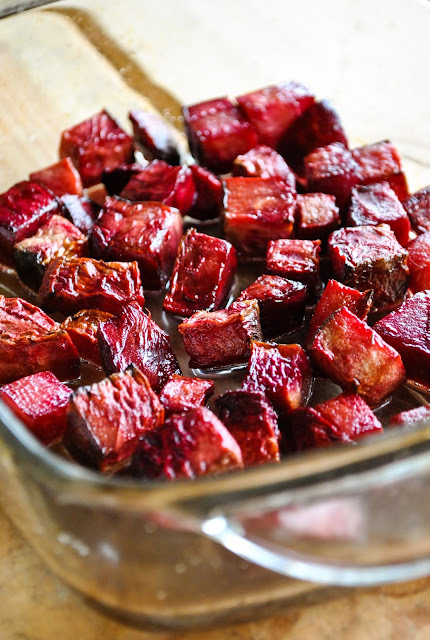 Preheat the oven to 400 F / 200 C. Peel the beets and cut into bigger cubes. Add salt, oil and mix it all in. Bake for 30 - 40 minutes, or until the beets are soft. Let them cool down. 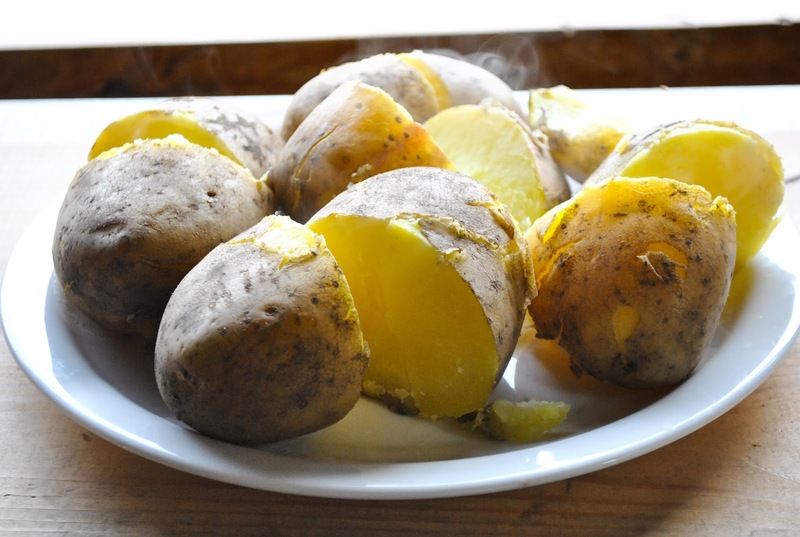 Boil the potatoes (don't peel them) until soft. Let them cool down. Make the creamy peanut sauce. Boil the sunflower seeds for 15 minutes. Drain and rinse with cold water. Add peanuts, cold water, salt and soy sauce or tamari. Blend for a couple of minutes, until smooth and creamy. Take a bigger salad bowl and mix beet cubes, potato cubes, salt, drained and rinsed beans with peanut sauce. Now the important part: let this salad sit for a while, so the beet can really kick in. Then stir it again and it will be nice and pink. Garnish with fresh basil.